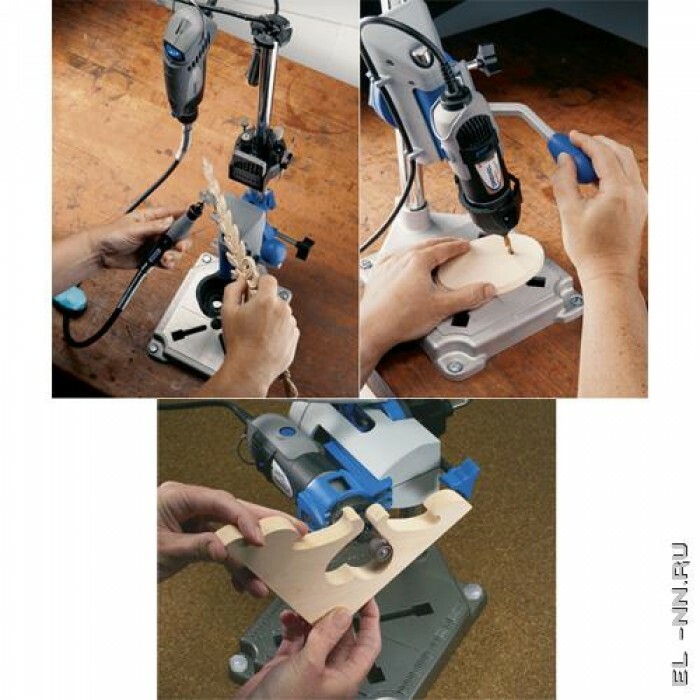 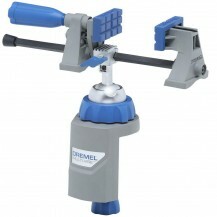 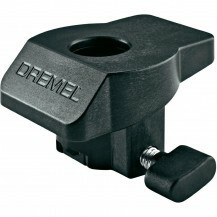 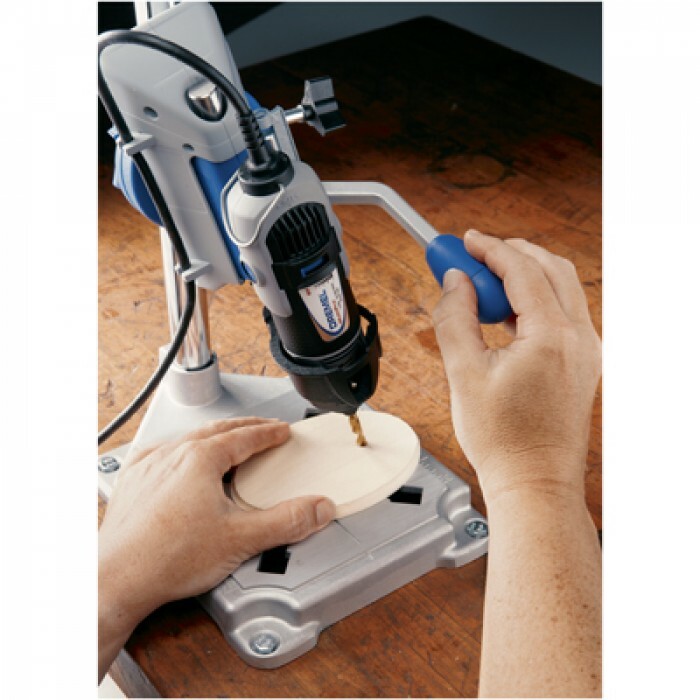 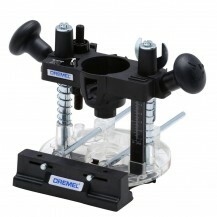 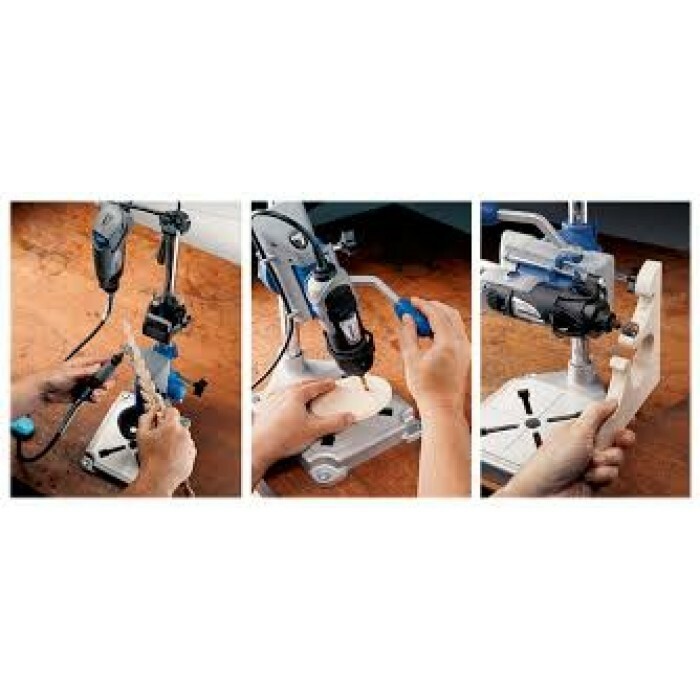 This combined Drill Press and Tool Holder is the perfect solution for stationary working with your Dremel. 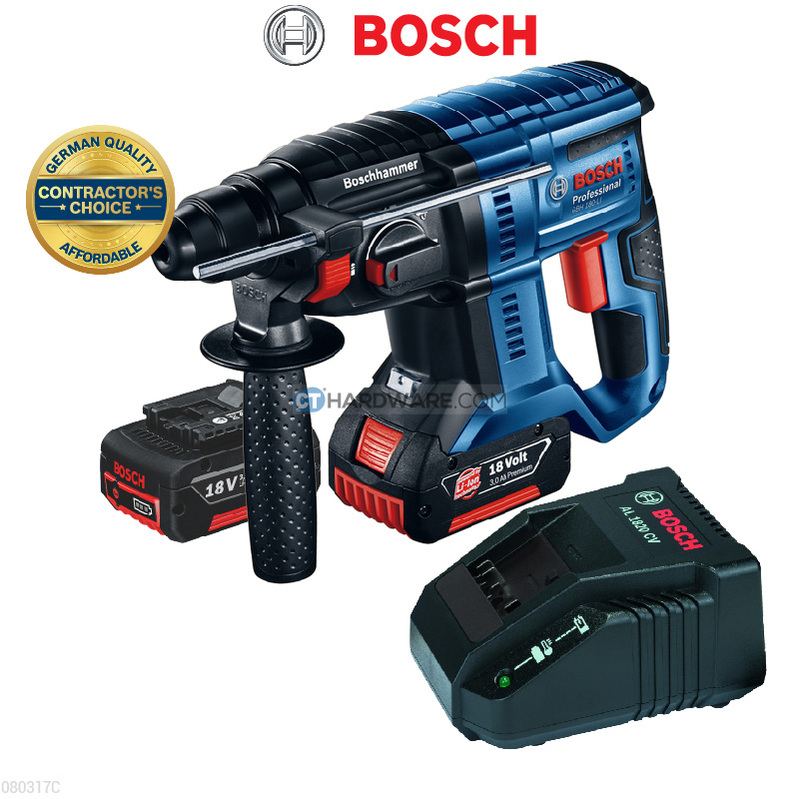 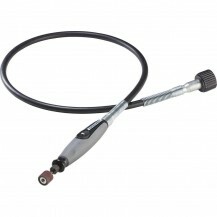 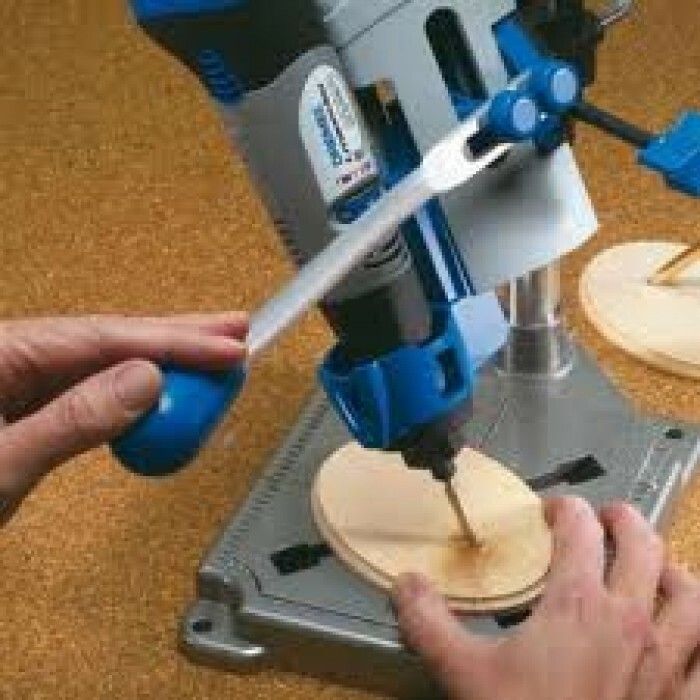 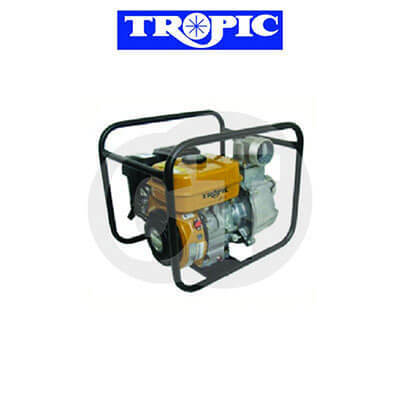 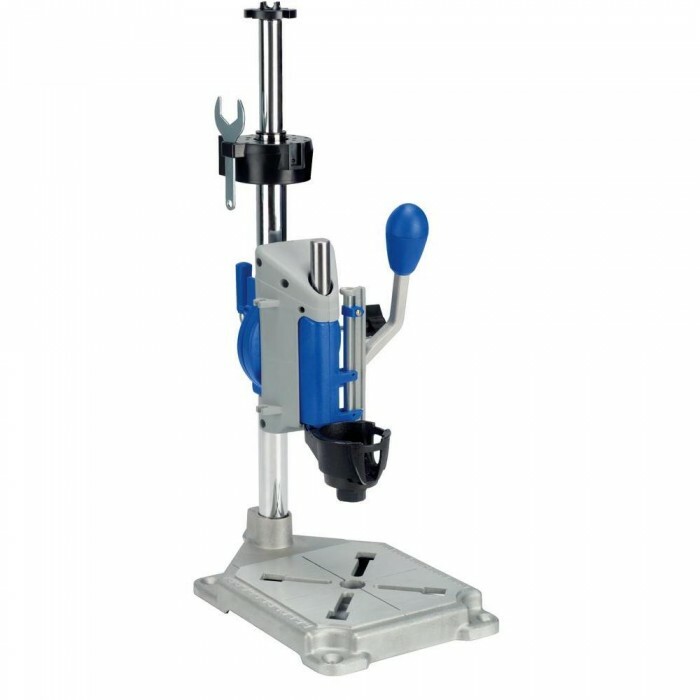 Drill vertically or in an angle, adjustable in increments of 15 degrees. 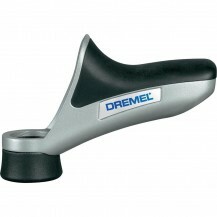 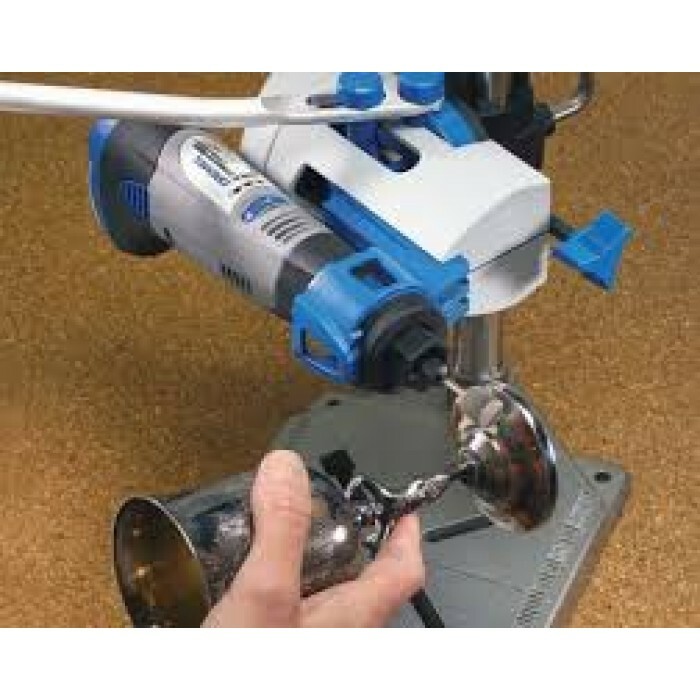 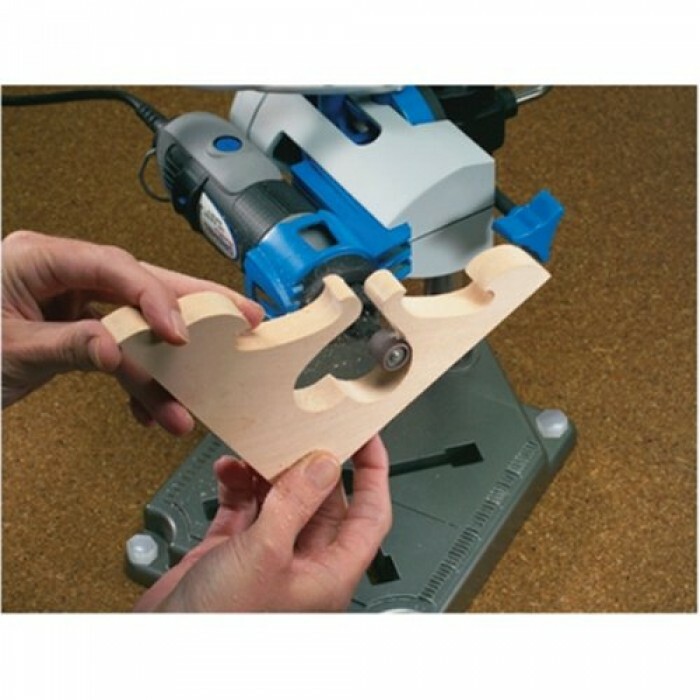 Holds tool horizontally for polishing and sanding. 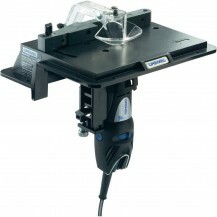 Integrated, telescoping tool stand holds tool with Flex Shaft (225). 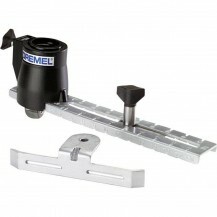 On-board accessory storage. 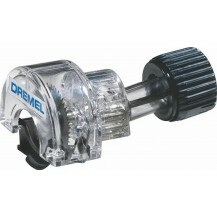 Cord management keeps cord safely stowed. 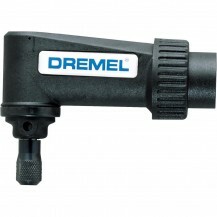 Depth markings for consistent depth adjustment. 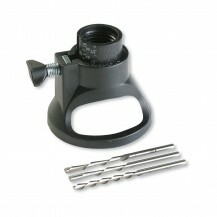 Base markings (metric and inches).